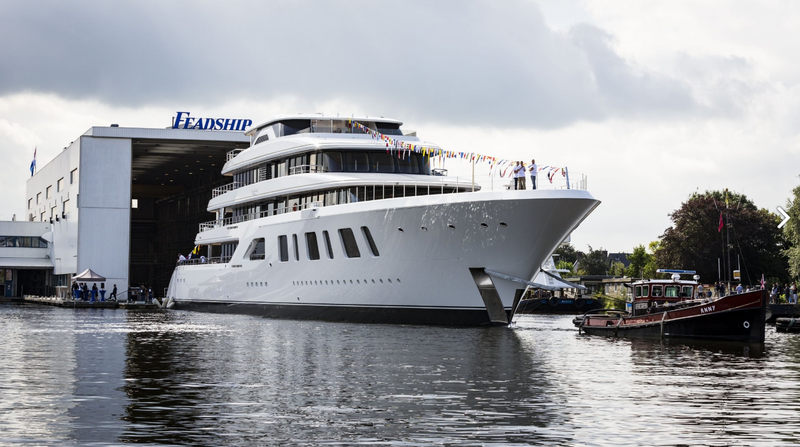 Feadship launched the 92-metre superyacht Aquarius in a private ceremony at its yard in Aalsmeer. This pure custom Feadship has been created on behalf of, and in partnership with, an immensely experienced yacht owner. It sees Feadship once again raise the bar of perfection across the board. Aquarius features a resolutely contemporary exterior design with a number of archetypal Feadship elements, such as a conventional bow and raked superstructure shape. The profile comes from the boards of the Dutch company Sinot Exclusive Yacht Design, which was also responsible for the interior design together with the owner’s design team in close cooperation with Feadship De Voogt Naval Architects. 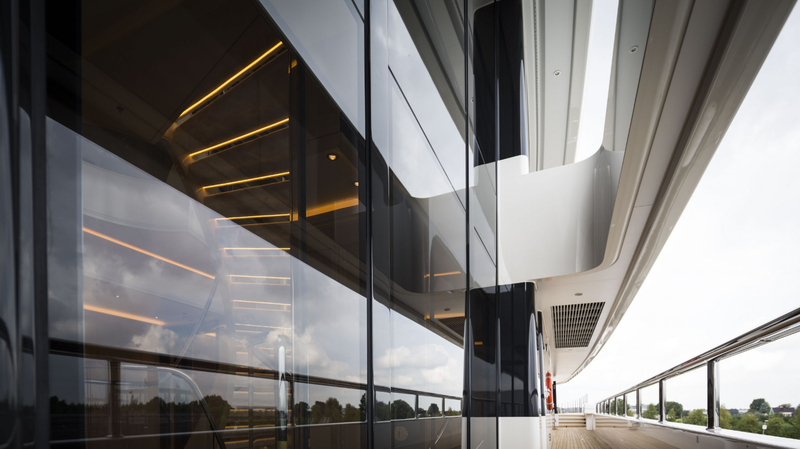 A terrific amount of light in the ceilings and in the comprehensive (and energy-conscious) LED lighting system, combined with a phenomenal amount of glass in the superstructure, makes Aquarius one of the brightest Feadships launched to date. Moreover, as the owner is an avid art lover, Aquarius has the space for some pieces from his private collection. The client’s expertise in the hospitality and high-end hotel sectors is also apparent on Aquarius, with the infrastructure of the galleys, pantries and crew service areas optimised to the highest degree. The staterooms and suites are also arranged in a way that makes the most of the owner’s unrivalled understanding of luxury accommodation. Overall, the entire yacht shows off a meticulous attention to detail and perfect dimensions & scale, all within an intuitive and supremely user-friendly layout. Aquarius’ propulsion rests upon a conventional package honed by Feadship to an exceptional degree of refinement. The yard is confident that Aquarius will prove to be the quietest Feadship to date once sea trials get underway. In this as in every other aspect, this latest member of the Feadship fleet encapsulates everything that has made the Feadship name a byword for extraordinary craftsmanship and a genuinely superior owner experience.